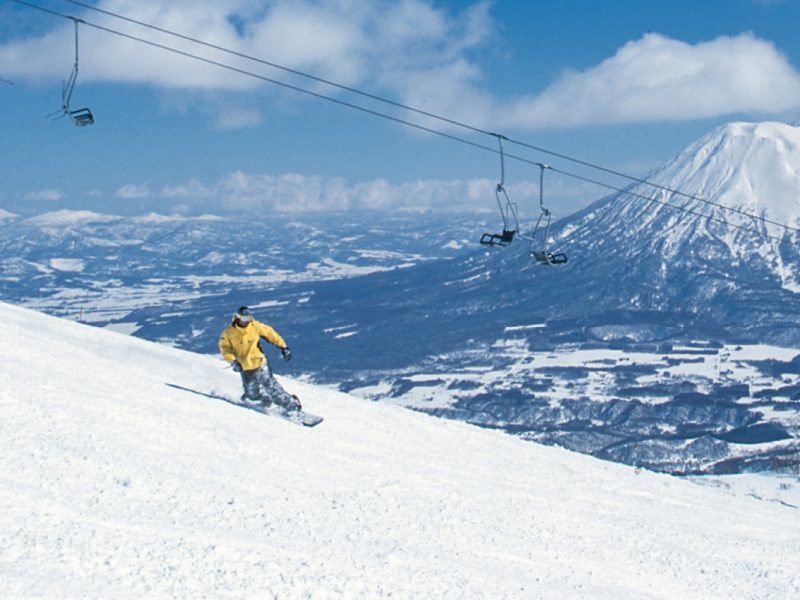 Kanda-Ogawa – where skiers can shop till they drop! 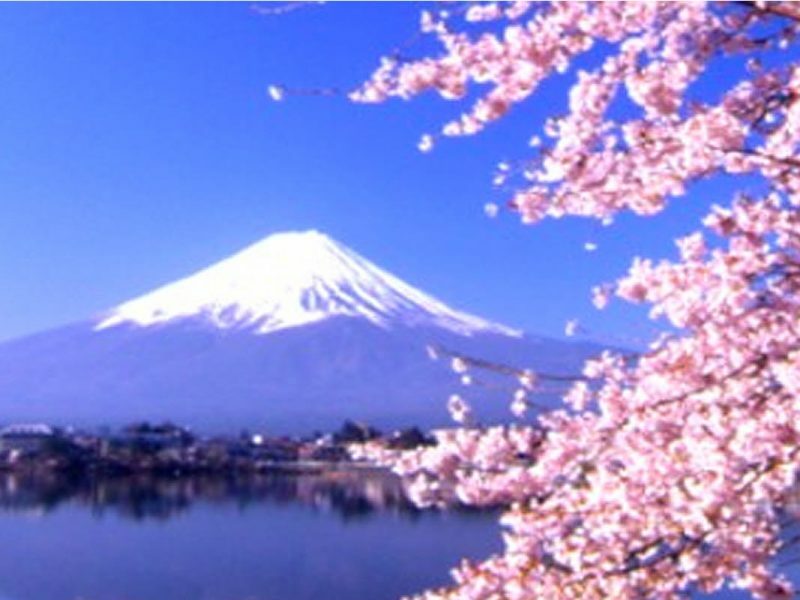 Kanda-ogawa is located in the Chiyoda ward of Tokyo – just 10 minutes from Japan’s electric city, Akihabara. Kanda-ogawa is known as the number 1 sporting goods shopping district in Tokyo, if not in Japan! The town has been around since Japan’s feudal period housing various vendors. The history of Kanda-ogawa can be felt in the friendly communal spirit of the vendors that are now operating in the town. There are also several shrines in the area that have looked over the well being of the town and its vendors. It was after World War II that the town experienced a massive growth. This was thanks to students from nearby universities coming into purchase sporting goods and other equipments in town; eventually making kanda-ogawa machi the place to go for any sporting equipment needs. This vibrant town spans across a 400 metre stretch of Yasukuni-dori, the main street of Kanda-ogawa,offering a fantastic selection of sporting goods stores; there’s stores to cater to golfers, skateboarders and cyclers. 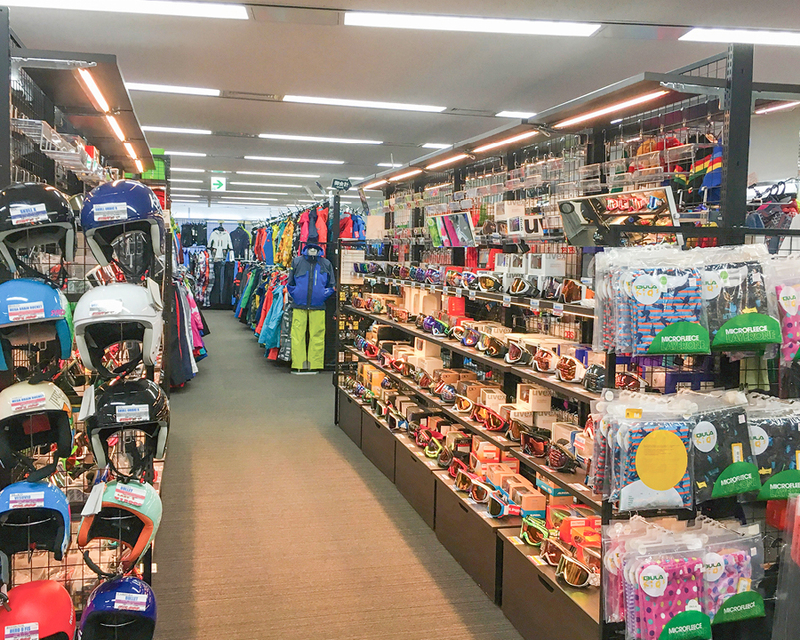 With the rise in popularity of snow sports in the recent years however, the ski and snowboarding equipment stores have become the main attraction to Kanda-ogawa. 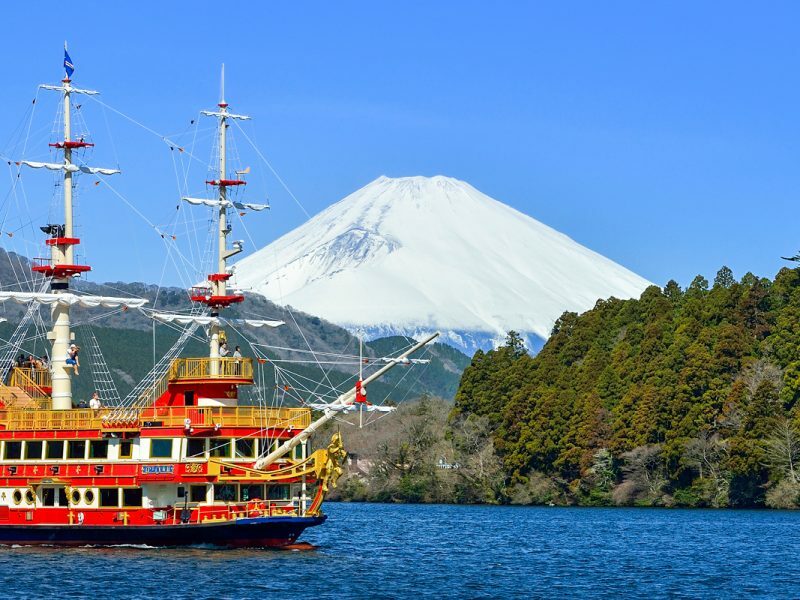 People from all over the world, including many Australians have stopped off at kanda-ogawa machi to grab the latest ski and snowboarding goods on their way to snow holiday destinations like Hokkaido and Nagano. Kanda-ogawa is actually located quite conveniently for those who want to make a detour to shop for new gear to take with you to the snow. From Tokyo station, just take the JR Chuo line to Ochanomizu station which is about a 5 minute train ride. From there it’s a less than 10 minute walk to the hustle and bustle of Kanda-ogawa. Just find a luggage locker at Tokyo station to store your bags so you can freely shop till you drop. Take Tokyo-Monorail to Hamamatsucho Staion, then the Keihin-Tohoku Line going towards Akabane to Kanda station, then walk to Kanda-ogawa. 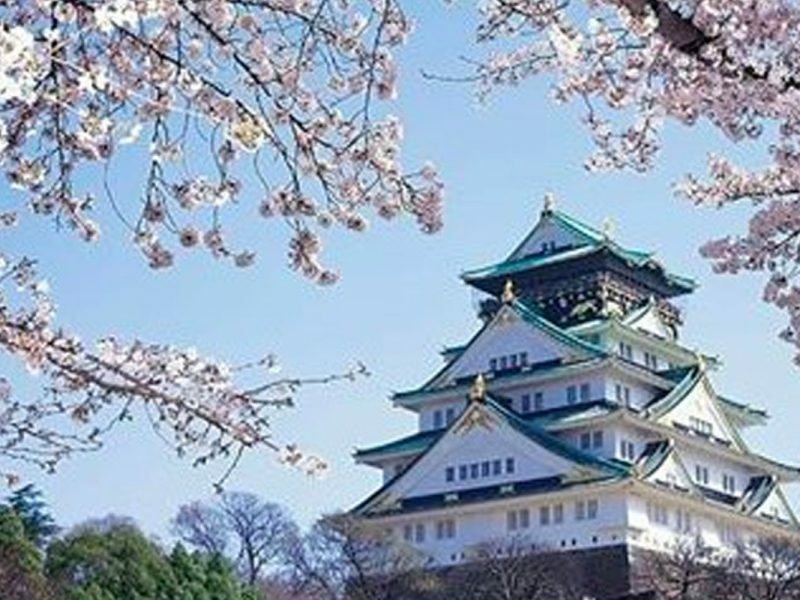 Take the Skyliner express on the Keisei-Ueno line to Nippori Station, then take the Yamanote line from there to Kanda station, then walk to Kanda-ogawa. 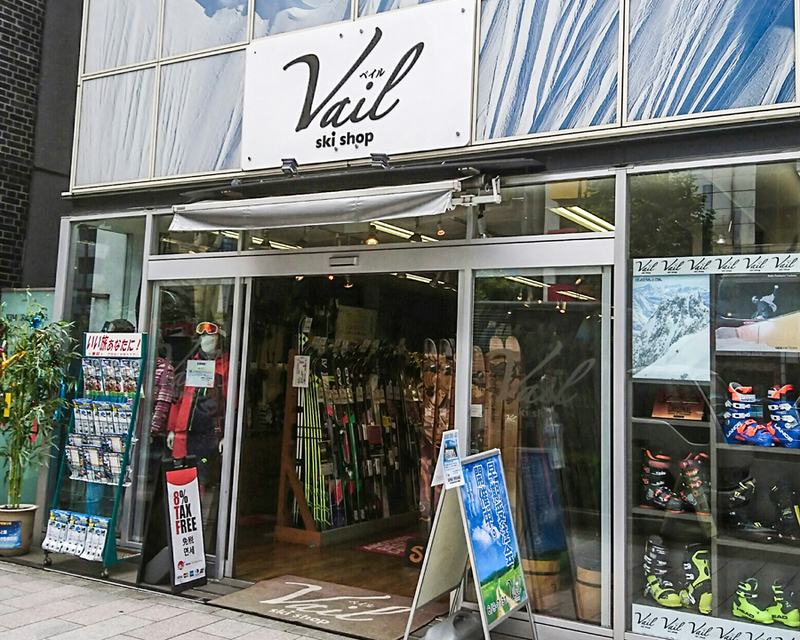 Ski Shop Vail opened in June, 2012, and has already established itself within Kanda-ogawa as a major player. The store belongs to a family of specialty stores that have been in the area for over 50 years: Ski Shop Vail has lived up to their standards with superbly refined customer service. The modern, glass building is a welcoming and pleasant space to look, try and buy your new favourite gear. It’s a spacious and neat store with photographs of snowy mountains tastefully placed throughout the store to create an exciting atmosphere to shoppers. From the moment you step into the store and up to the second floor, this store is filled with great products from major brands and boutique brands. A grand selection of skis and boots welcome customers as they walk into the ground floor. 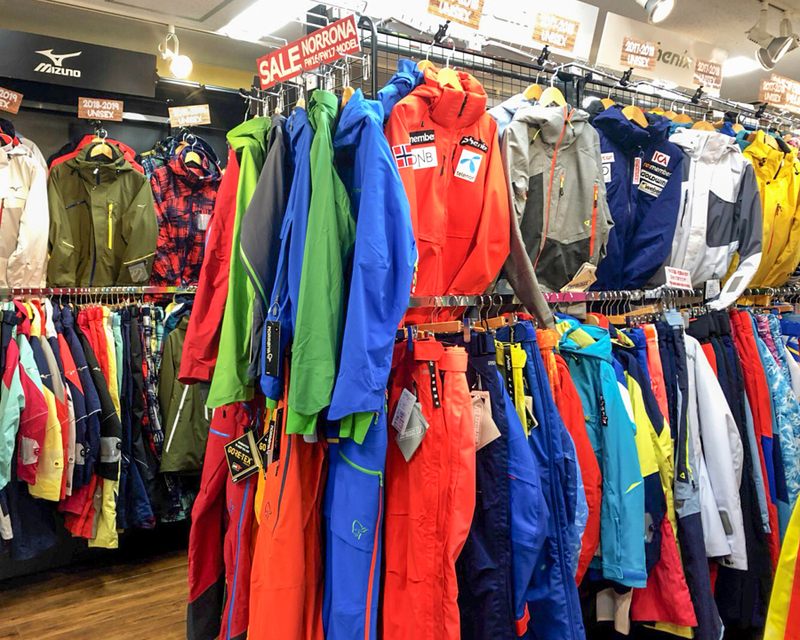 The selection of free-skiing and backcountry style items as well as bindings for climbing, is the best out of the whole Kanda-ogawa area. Once you are upstairs, another fantastic range of ski wear and accessories for a variety of different ski styles awaits for your discovery. Just as one of their many English speaking staff to help you style the best snow-look for the season, so there is nothing to worry about. Not only will you have access to great products, but the staff will provide you with great knowledge and advice. Beginning your snow holiday by stopping off at Ski Shop Vail is definitely a great idea. 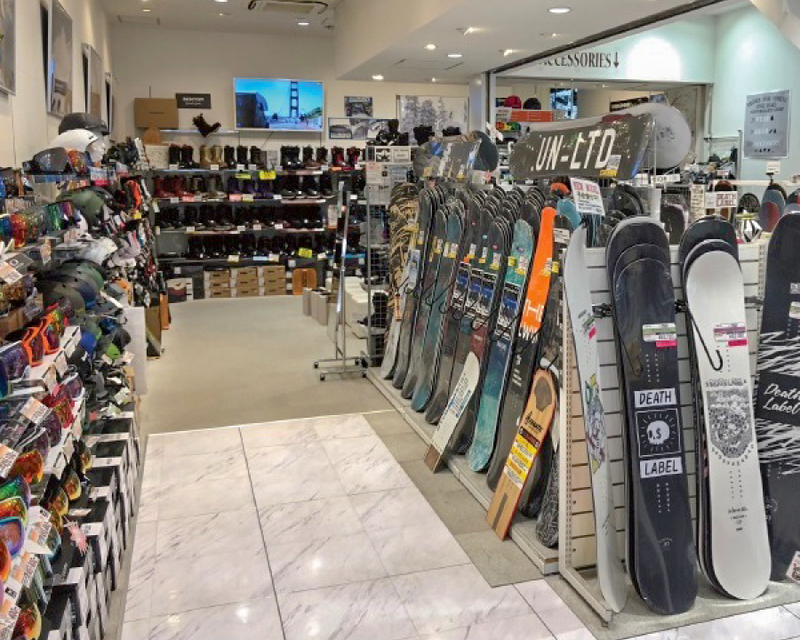 There are countless ski and snowboard specialty stores in Kanda-ogawa but not many can compete with Fuso Ski & Snowboard’s floorspace. With such a massive store, you can expect to find a wide range of ski and snowboarding equipments as well as snow apparel and accessories. 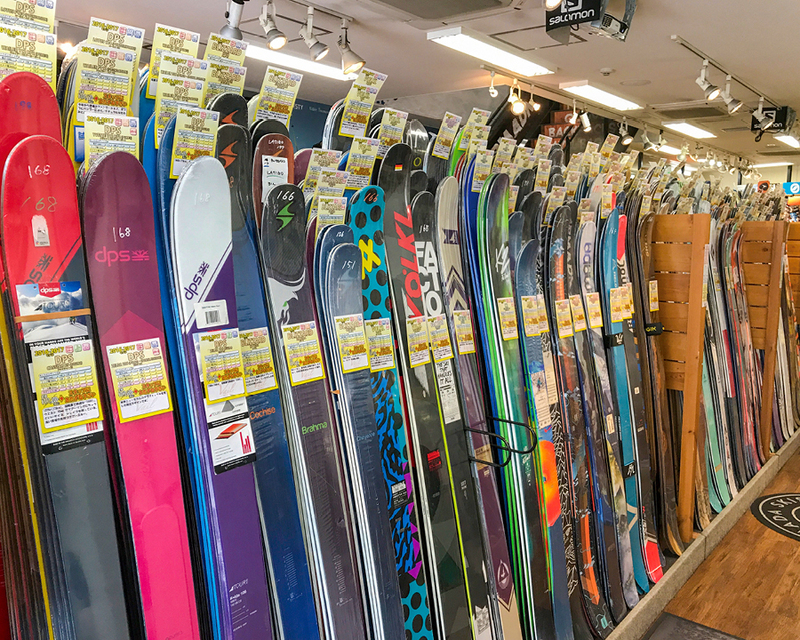 Fuso Ski & Snowboard has the greatest range of products in town, from the latest products from the most popular brands to reasonably marked down older models. This store offers real expertise in many ways, one way is to have a chat to one of their pro-skier staff, who will give you expert advice and help you prepare for your next ski trip. But the real underrated expertise they offer is their qualified shoe fitter. The shoe fitter will help with solving current ski boots troubles, assist you in finding the perfect pair of boots matching your needs and even customising the boots to fit your feet. 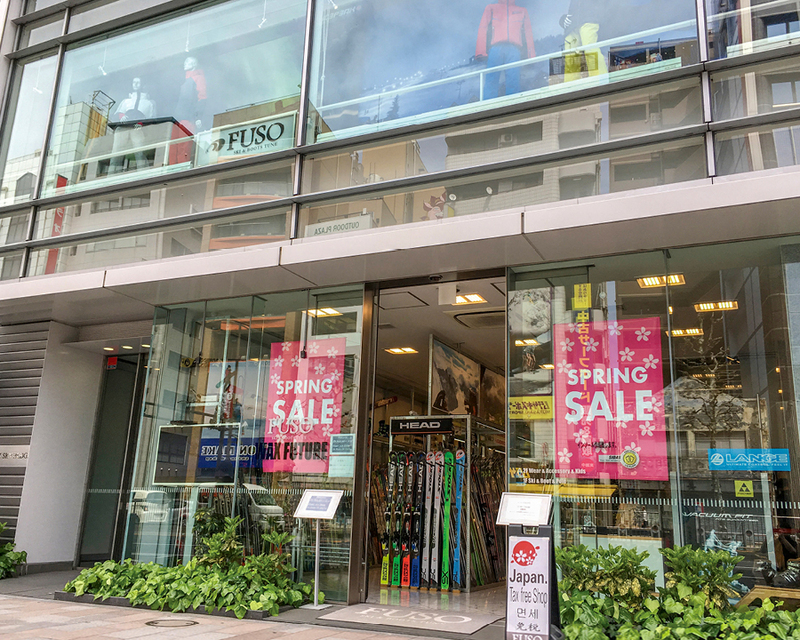 Fuso Ski & Snowboard is a duty-free store with several English speaking staff, so there’s a lot of benefits in doing your snow equipment shopping here. Thanks to the great range of products and highly qualified staff, you will no doubt get the help you need to have the best time in the snow like never before. One Make is a fairly recent addition to the Kanda-ogawa machi shopping district. 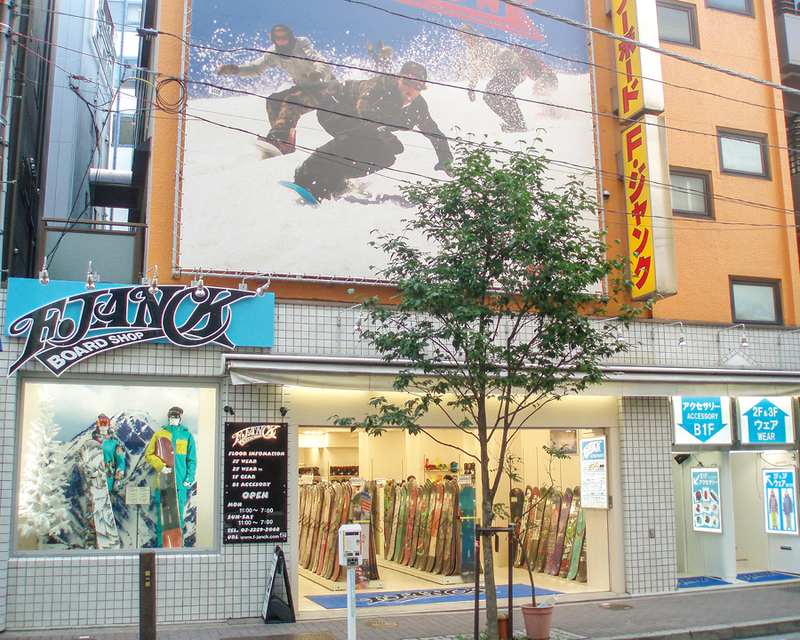 Opened just three years ago on the main street of Yasukuni-dori, One Make specialises in snowboarding equipment. The spacious store is filled the best and latest in snowboarding goods all displayed beautifully, especially attracting many female snowboarders to the store. With so much space and exciting gear on display, you’ll want to take your time to take a thorough look through the store. One Make is known to have the number one selection of snowboard wear, from staple items to the latest on-trend pieces, they will not only help you ride your best but look your best while doing it. A tune-up factory attached to the store, which is a fantastic service not only if you have new gear to be tuned up right, but old gear to be maintained. There are several English speaking staff at the store so you can rest assure that you and your gear will be taken care of at One Make. Snowboarders couldn’t possibly go past F.Janck – a mega store that specialises in all things snowboard – it’s a one stop shop that stocks everything from equipments big and small to snowboarding apparel and accessories. It’s no surprise that the store needs four floors, the F.Janck prides itself in stocking over 70 brand names. 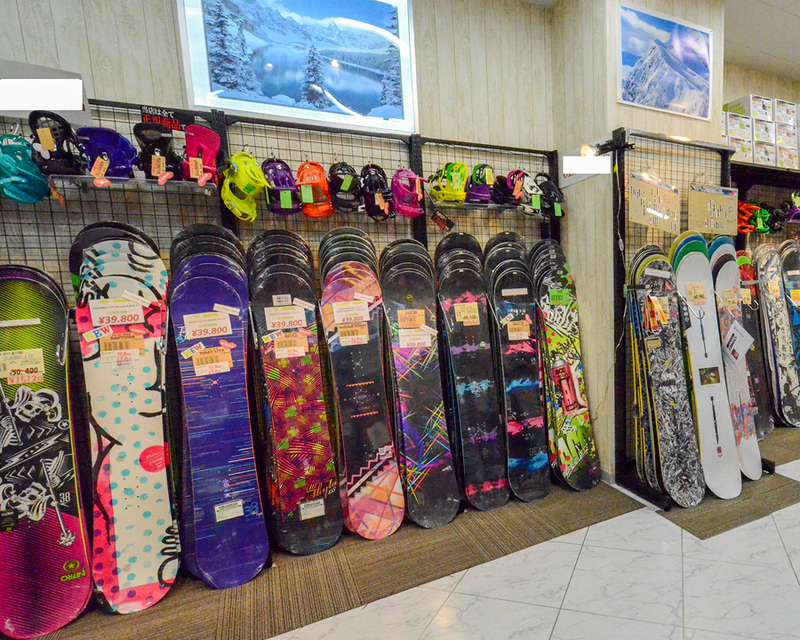 They are the biggest stockist of snowboarding brands in the whole nation! Their casting technology for custom made boots and insoles are the top of the line, so there are many repeat shoppers that take advantage of the store. F.Janck’s massive selection of equipment covers all kinds of snowboarders, including backcountry boarders and kids. 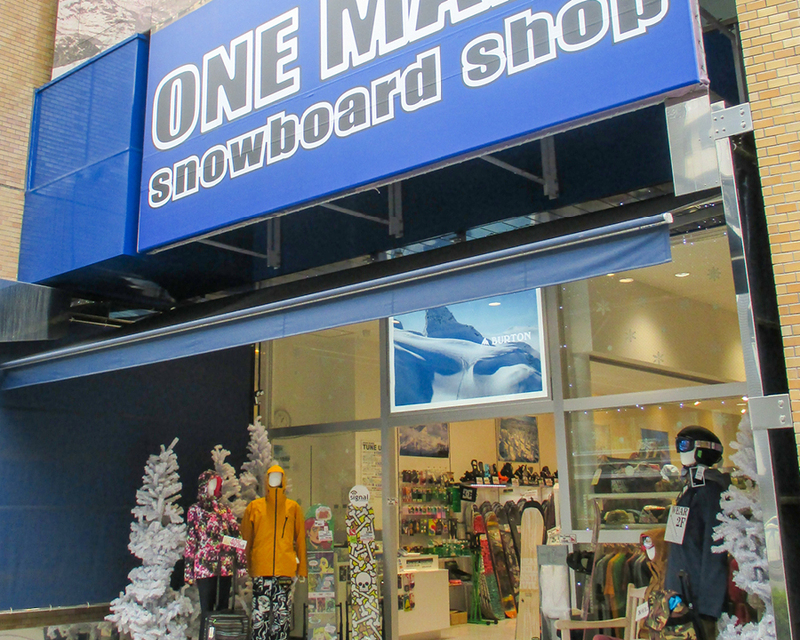 It is a must-visit store for any kind of snowboarder. Although it’s slightly hidden in a back alley, away from the main street of Kanda-ogawa, Liberty is one store that’s hard to miss. The two bright lightening strikes that decorate the building announces its presence to every passer by. 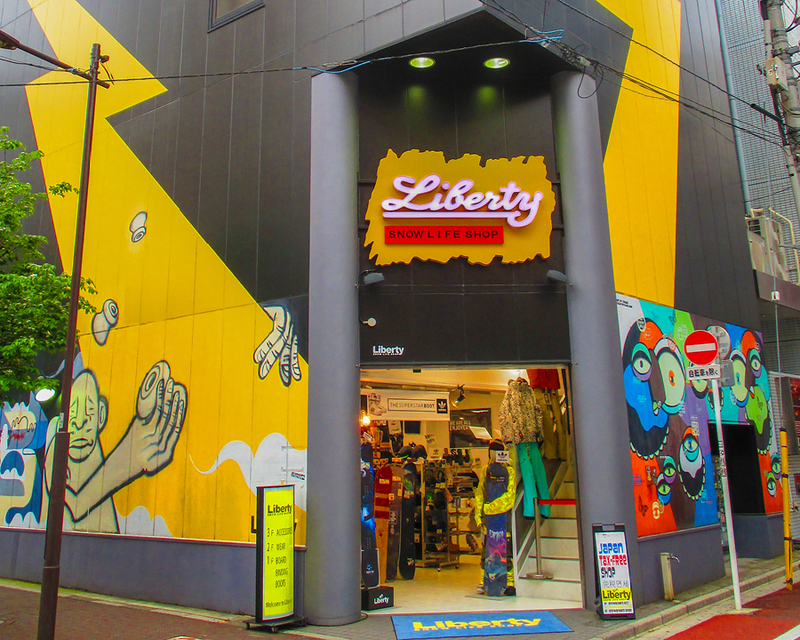 It’s not just the decoration that’s interesting about Liberty, but the store stocks a very unique selection of snowboarding equipments and apparel. 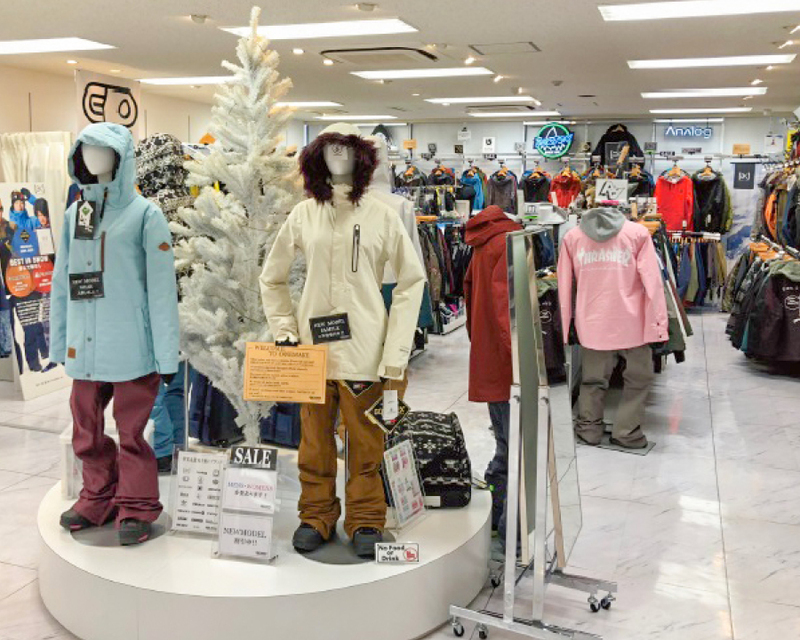 With many Japanese brand names that may be hard to find elsewhere in the world, anybody who is a bit of a snow sport mania will definitely have a great time exploring the store.